Clifton Asset Management research reveals that SMEs feel “abandoned” by Government and banks. Falling pension and property values leave many owner-managers reliant on their business as a financial cushion. 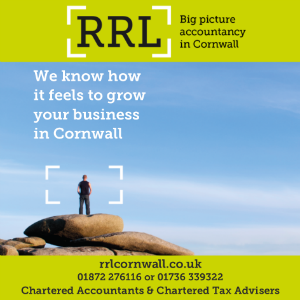 Most South West small business owners are putting off their retirement due to the economic downturn, according to new research. The majority also see retirement as being a decade or more away – with 22 per cent not intending to retire at all. Bristol-based Clifton Asset Management, the UK’s leading alternative to banks for owner-managed businesses’ finance and strategic planning, questioned more than 100 business owners across the region about their retirement plans. The study found that owner-managers feel increasingly pessimistic about the effect of the general economic situation on their exit plans. They are also scathing about what they see as the Government’s failure to appreciate the crucial role of SMEs, and about the effect of its pensions policy on their financial position in retirement. only 2 per cent feel that Government recognises the crucial role of owner-managed businesses to the economy, with the same amount believing that Gordon Brown has been good for their pension plans. Meanwhile when it came to the importance of a number various factors on their retirement plans, the general economic climate was cited by most (52 per cent) as the principal influence. The ability to find a buyer for their business was viewed by respondents as the least significant factor, being seen as crucial by 33 per cent. “After having been let down by traditional pensions over the last 20 years, many business owners chose to invest in buy-to-let properties to build assets for their retirement,” he said. “Now, as that market deteriorates, these same owners must look to the value in their businesses to provide a financial cushion, while staring a possible recession in the face.